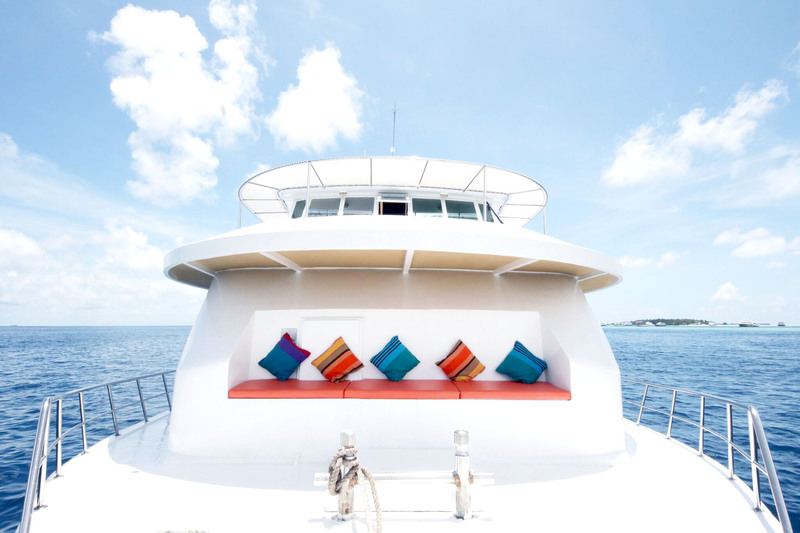 Surf boat Assidha is ideal for small group surf trips in Male Atolls, both North and South. 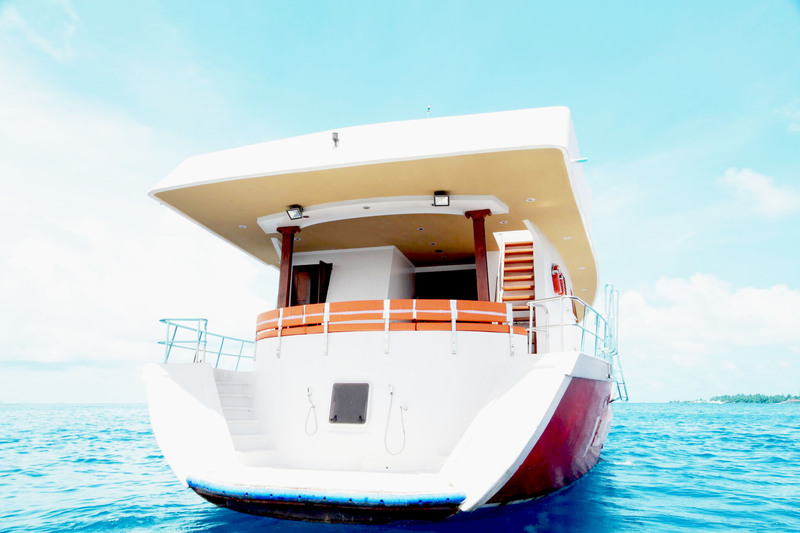 The boat is spacious, comfortable and budget effective. The distance between each surf spot is about 10 minutes. 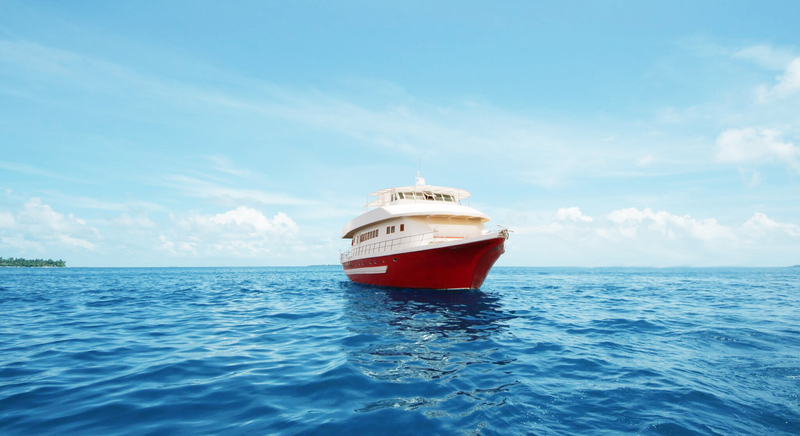 Our surf guide on board will assist and guide you during the trip. Buffet style meals are provided on board. The menu varies from day to day and has a combination of Non-Veg and Veg food. 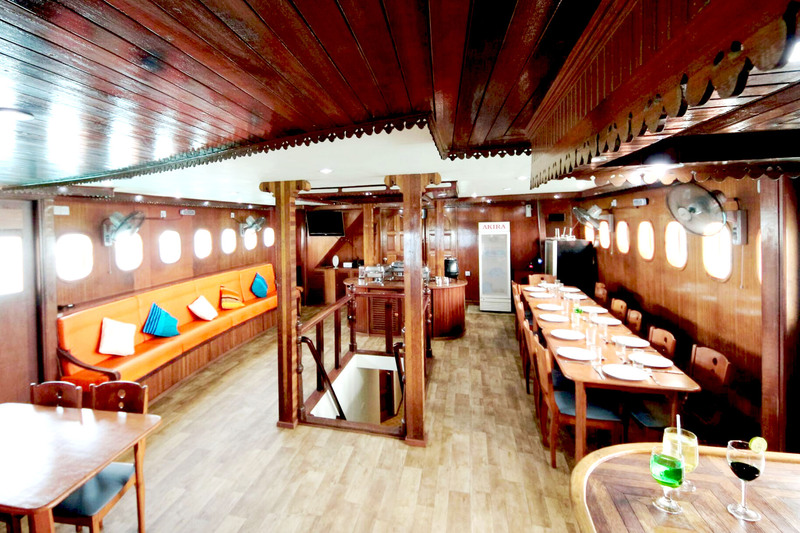 Also, it has a bar with a variety of alcoholic and non-alcoholic beverages. Assidha only available between May till September. BBQ dinner on a dessert Island, depending availability and on weather conditions). All taxes (GST and Green Tax) included! 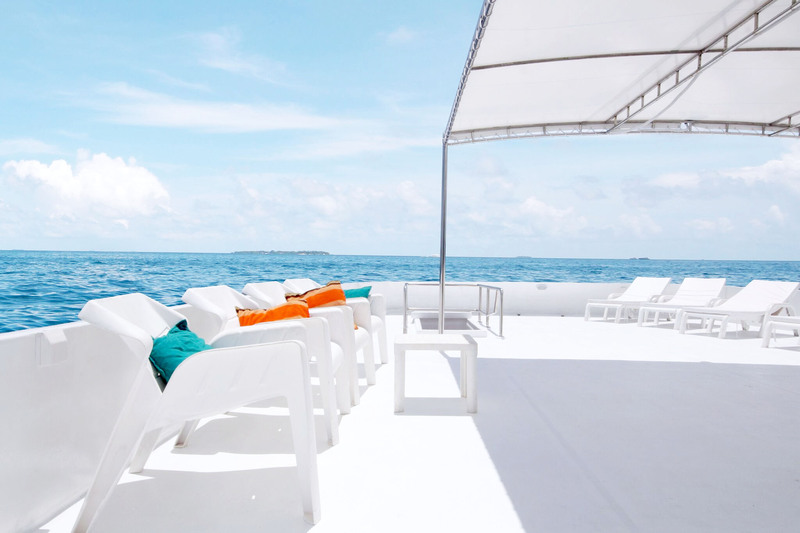 Maldives is a tropical country and popular among surfers for its perfect waves and consistent swells. They are accessible as well as suitable for all categories of surfers but normally recommended for intermediates and for advanced surfers. 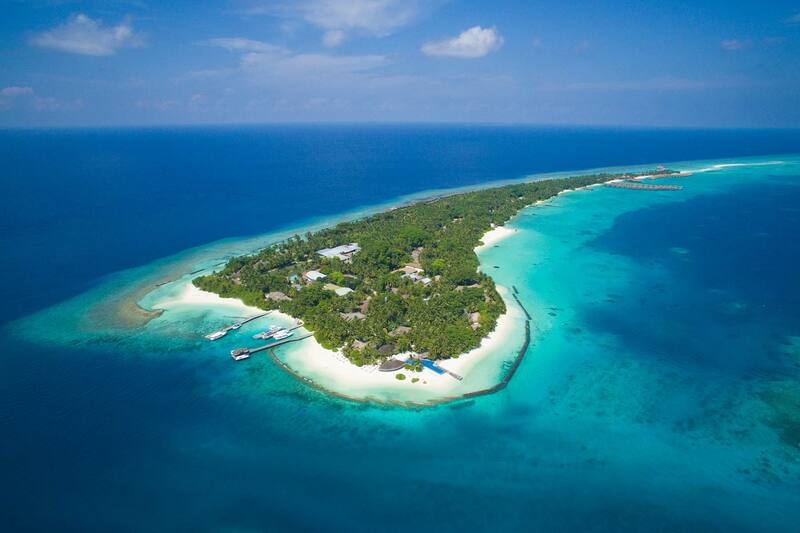 Maldives is an island nation popular for its natural beauty. The white sandy beaches, the crystal clear waters makes it one among the most desired destinations in the world. 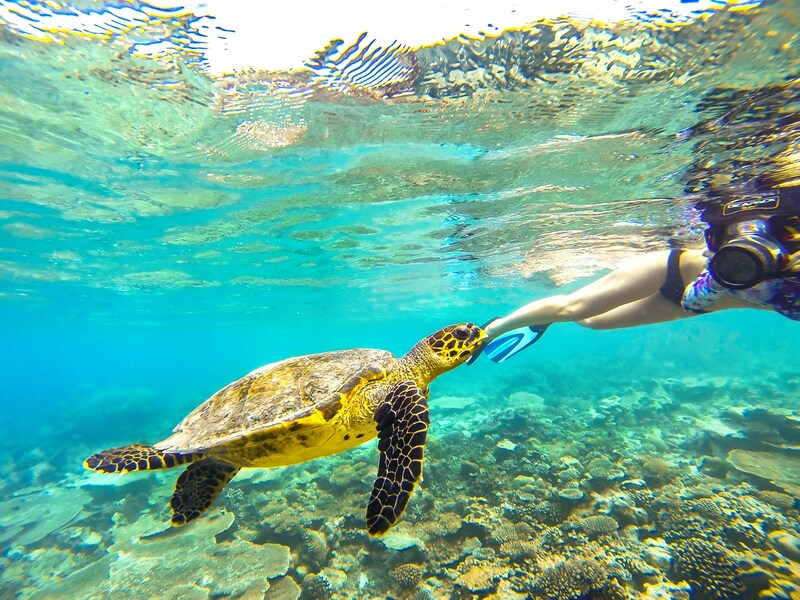 The abundance of marine life and colorful corals makes it one of the best places to dive in or go for a snorkel. 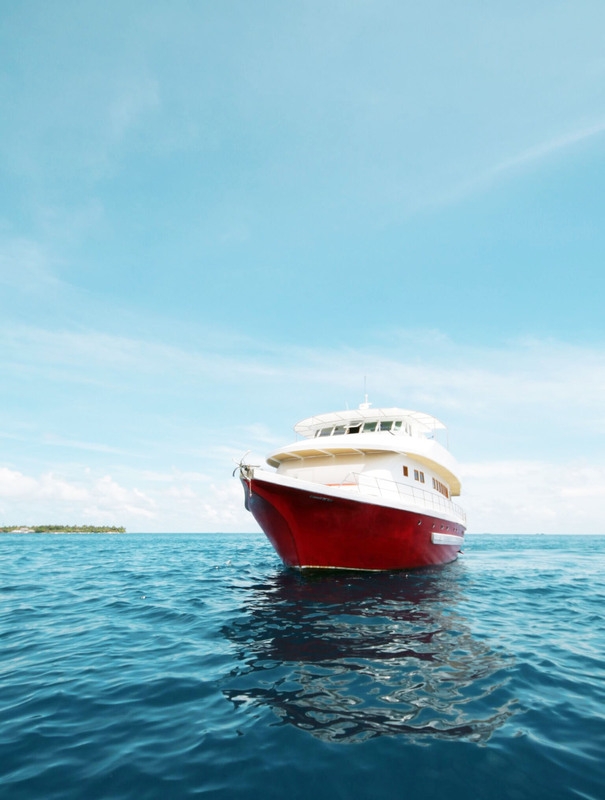 During your trip, you'll be able to visit some of the local islands nearby and experience a glimpse of the local life and culture of Maldivians. 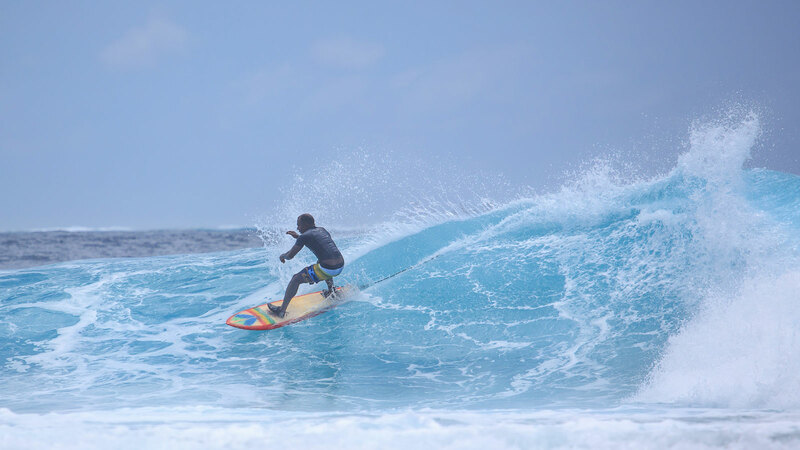 The nearest airport is Velana Internation Airport (in Malé, city capital) which is about 2 hours from your surf locations. 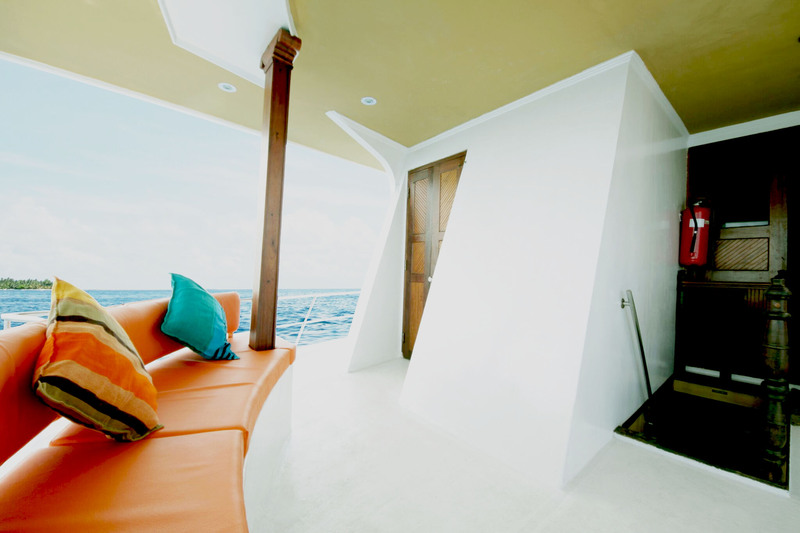 Assidha has 7 comfortable cabins on board. The recommended occupancy is 14 people on twin sharing basis. 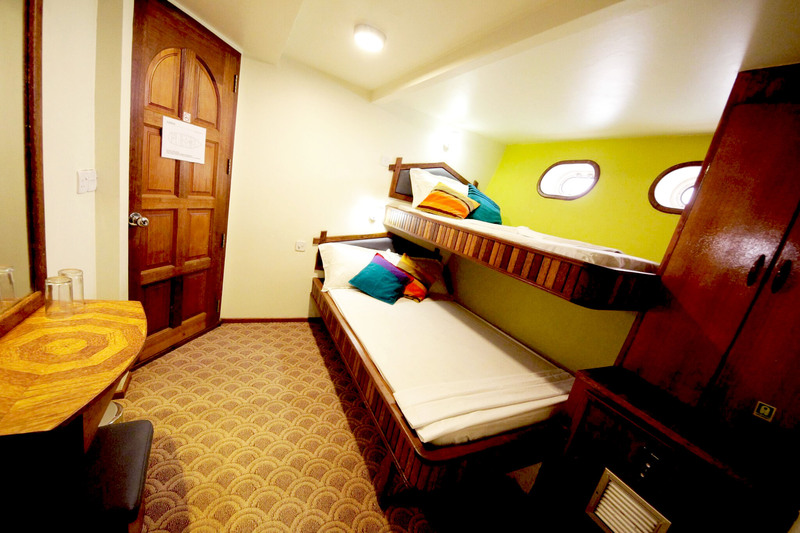 The maximum occupancy on each cabin is 3 people. 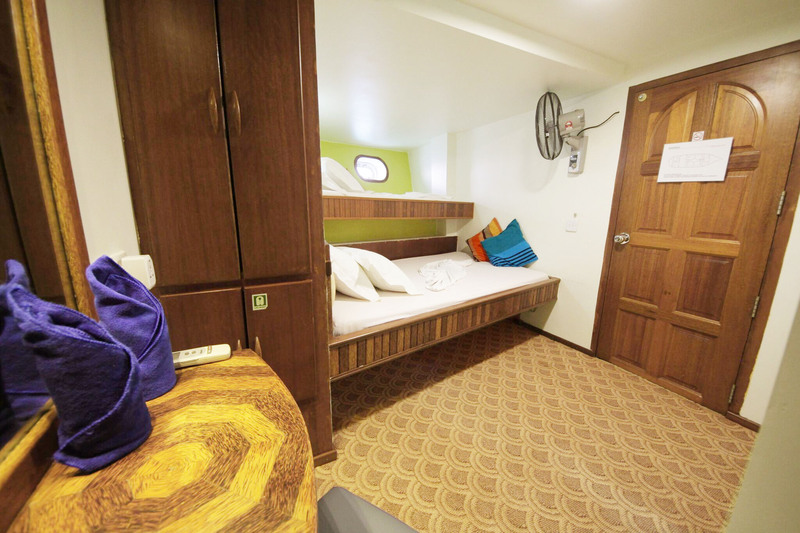 All 5 cabins on the lower deck has 1 DBL Bed and 1 SGL Bed. 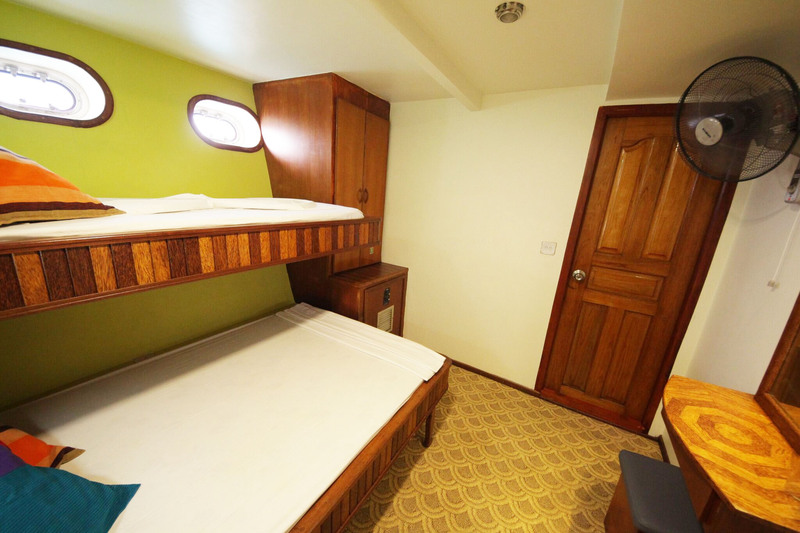 One of the 2 cabins on upper deck comprises a DBL Bed while the other features a TWN Bed. 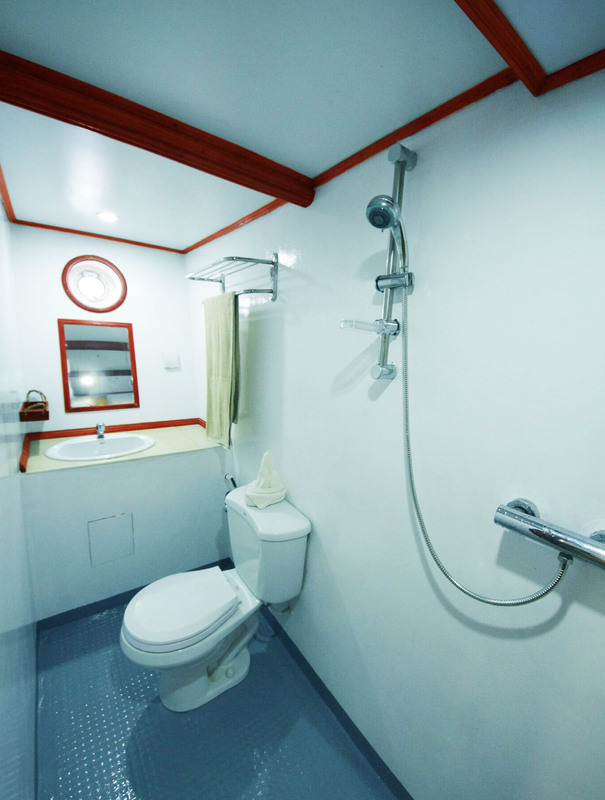 All rooms are equipped with private en-suite bathrooms. 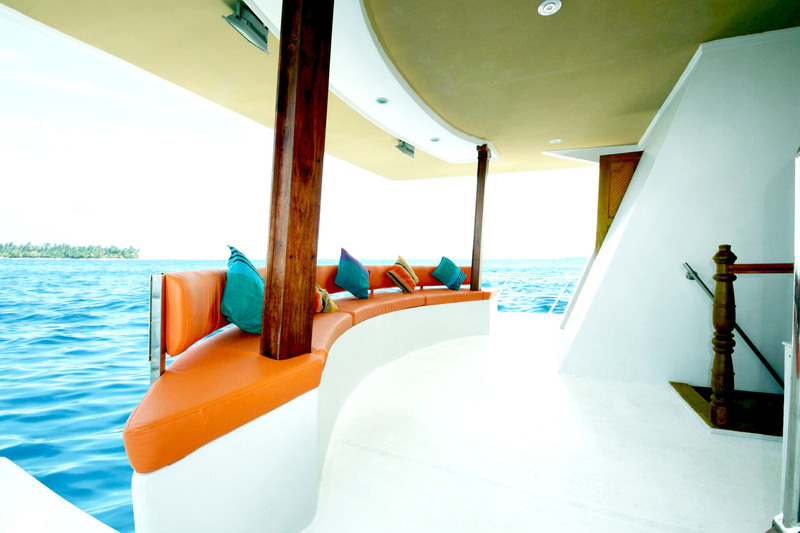 The boat has a spacious Sun Deck with Sun Beds placed throughout the day and night. All the crew on board can speak English. They are friendly and always at your service. 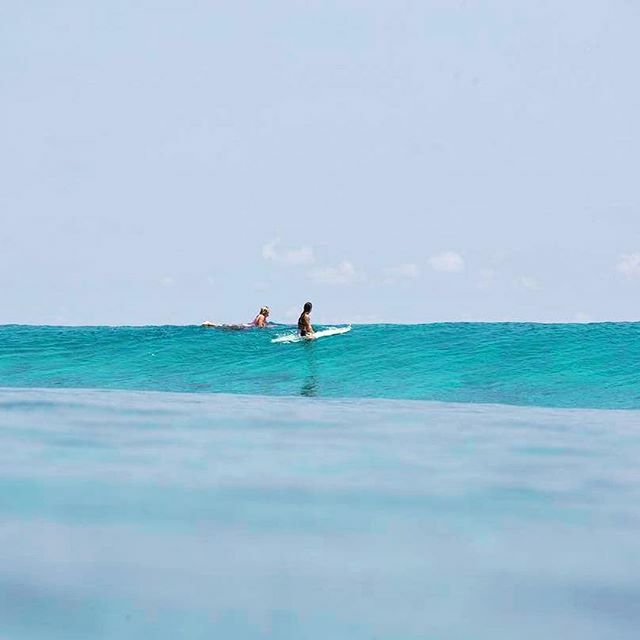 The best time to surf in Maldives is from February to November. This is very much determined by monsoons. Maldives has two monsoons. The North East Monsoon which runs from December to April and the South West Monsoon from May to October. You can witness big swells during these seasons. Male' Atoll is divided into North Male' Atoll and South Male Atoll. Some of the best surf points are located in these atolls. SURFINN © 20-04-2019 04:43:53. ALL RIGHTS RESERVED.